Many of use struggle to get the quality sleep that we deserve. That is why we've developed a sleep aid that is safe and effective. 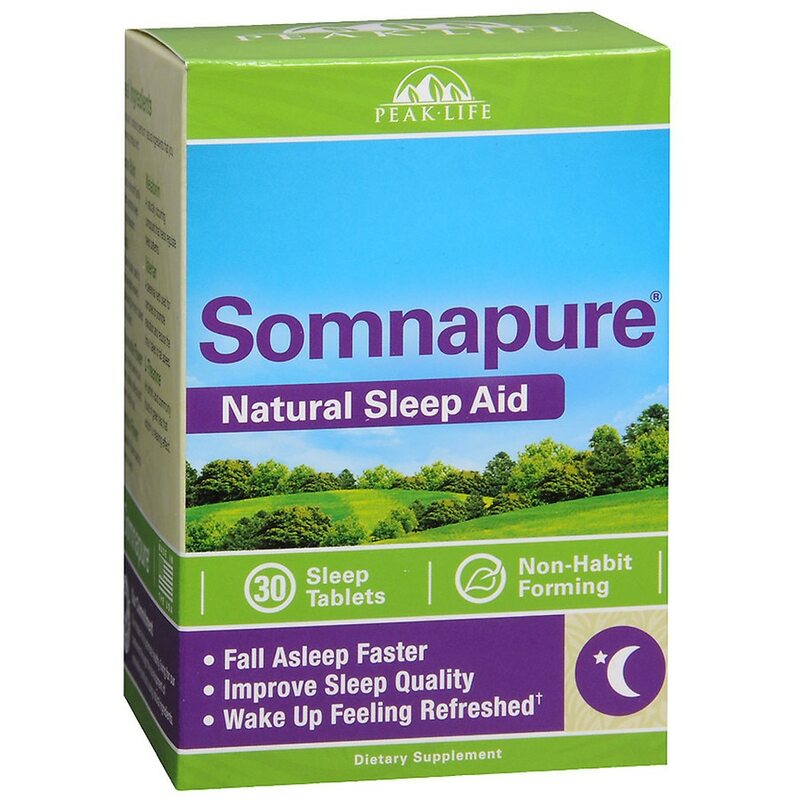 Somnapure's naturally occurring ingredients are non-habit forming and won't leave you feeling groggy the next day. With Somnapure®, you will fall asleep faster, stay asleep longer, and get the high quality sleep that helps you wake refreshed and ready for the day. Lemon Balm - An herb in the mint family used to promote sleep through relaxation. Hops - A flower cluster used to increase alpha-waves, decreasing the time it takes to fall asleep. Chamomile Flower - A daisy-like flower known for its calming effects and use in herbal teas. Passion Flower - A beautiful flower traditionally used to promote sleep. Melatonin - A naturally occurring compound that helps regulate sleep patterns. Valerian - A perennial herb used for centuries to promote relaxation and reduce the time it takes to fall asleep. L-Theanine - An amino acid commonly found in green tea that exhibits a relaxing effect. Peak Life, LLC is the leading specialty nutritional supplement provider in America. Manufacturing all of our products in the USA, we strive to create the highest-quality experience for you, our customer. Our domestic customer care representatives are ready to answer your questions and assist you with your order. Take two tablets once daily 30-60 minutes before bed. Use only as directed. Consult your physician before use if you are pregnant or nursing, have a medical condition, or use prescription medications. For adult use only. Protect from heat, light and moisture. Do not exceed two tablets in any 24 hour period. Do not drive, operate machinery, or consume alcohol while using Somnapure.